Occupation: I live in a town in the middle of Sweden, Örebro. I am a youth worker and work with kids and teenagers in after school activities and with something called “Open pre-school”. Open pre-school is a place where the parents and their children can come to play, sing, paint, and meet other kids and their parents. It’s a very creative job, I often play theatre, sing and paint with the kids at work.. I get to use all my creativity and get paid for it at the same time. 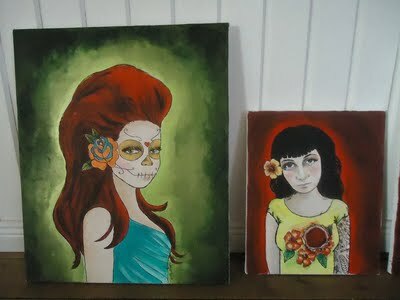 I`m an artist and paint as much as possible in my spare time. I also make things in wood and concrete, wooden boxes for kitchen herbs, cabinets, frames and signs. I mould plates and pots in concrete and I love doing ceramics. Recently I’ve had the opportunity to work a little extra with taking pictures at concerts which is fantastic as I get to combine my interest in metal music with photographic art. Favorite tattoo: It’s a friendship tattoo. One of my best friends gave me a tattoo for my birthday. We have talked for a long time about getting matching tattoos. I drew two tattoos and we got them done. Mine is a portrait of myself coming out of a rose. Hers is the same but with her own face. 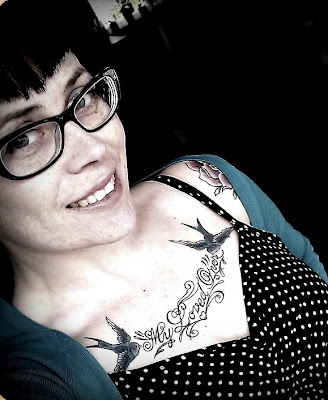 Artist/shop of feature tattoo: All my tattoos (except my Babushka) are made by Lisa Engberg at Everlasting and Traditional Tattoo Parlor in Orebro, Sweden. They have a facebook group for anyone interested. My Babushka is made by Lisa´s apprentice Anna Lernvik. My chestpiece. 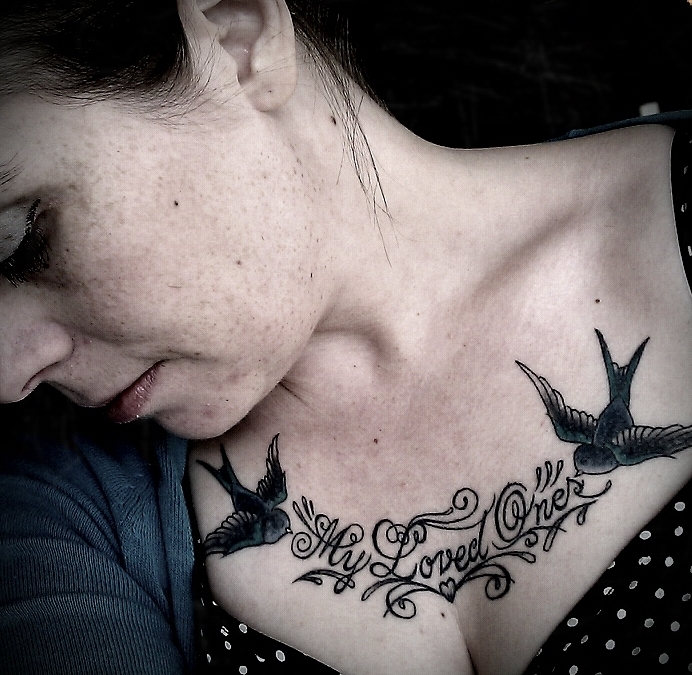 It's two swallows with the words “My loved ones”. The two sparrows are my two kids. The sparrows symbolize my kids being free and independent people. First I wanted to have my kids’ names but then I started thinking of all people that I have close to my heart. Some have passed away, like my dad, and some lives far away so I decided that my loved ones was better, it includes ALL people I hold dear in my life. Yes I have a sleeve. 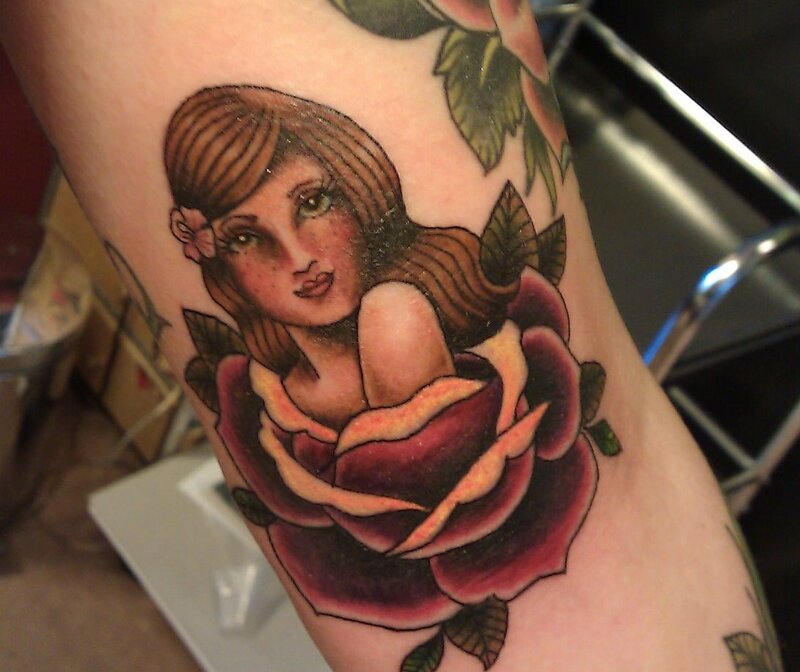 It has a seven roses (including the rose girl). The text, “this fire burn always” is from a Killswitch Engage song, “This fire”. It stands for the people and things in my life I feel deep love and passion for……my kids, painting, music etc. On my other arm I’m going to tattoo the first sentence of the lyric, “ Even through the darkest days”. The lyrics symbolize how my love and passion carries me through even the darkest days when challenges and sorrows throws a spanner in the wheel of life. I also have a feather pen tattoo with a little bottle of ink on the side. It’s a feather of a peacock. The pen symbolize my art and peacocks symbolize immortality. I have painted my whole life and creative expression is life for me. The two butterflies on my arm symbolize resurrection. I really like the symbolic in butterflies, the three different stages. The caterpillar stands for the earthly life, the chrysalis stands for death and the butterfly stands for the resurrection. I have a key with a four leaved clover on it. My last name means clover in Swedish. I also have two violets, a hibiscus and some other Hawaiian themed flowers. 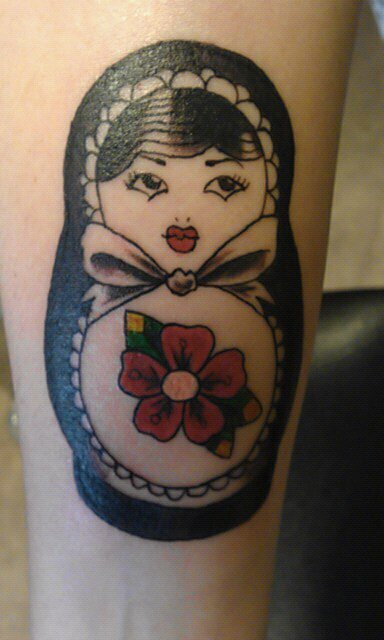 On my other arm I have a Babushka doll. It is not completely finished yet but it is there to symbolize all the layers a person have to their persona, most people will just see the outer shell but only a few will be let in to see the inner core and maybe the smallest, most vulnerable part of me. OF COURSE! I have plans for a sleeve on my other arm and both my legs needs colour and I have nothing on my back yet…. I have wanted to get tattoos since I was young but after thinking about it for fifteen years I decided that life is short and you should do the things you really want. You only have a lifetime to live so stop thinking so much and do it! I made them for myself so I don´t really care if anybody else like them or not it is something I want to do for myself! 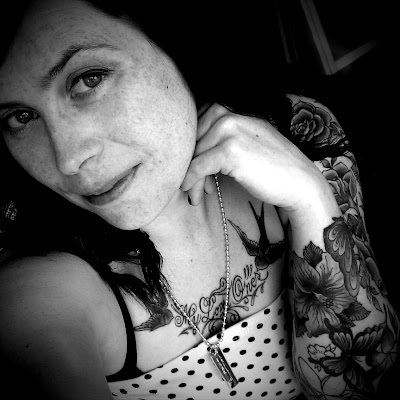 Actually, I think the more tattoos I get, the more girly I feel. 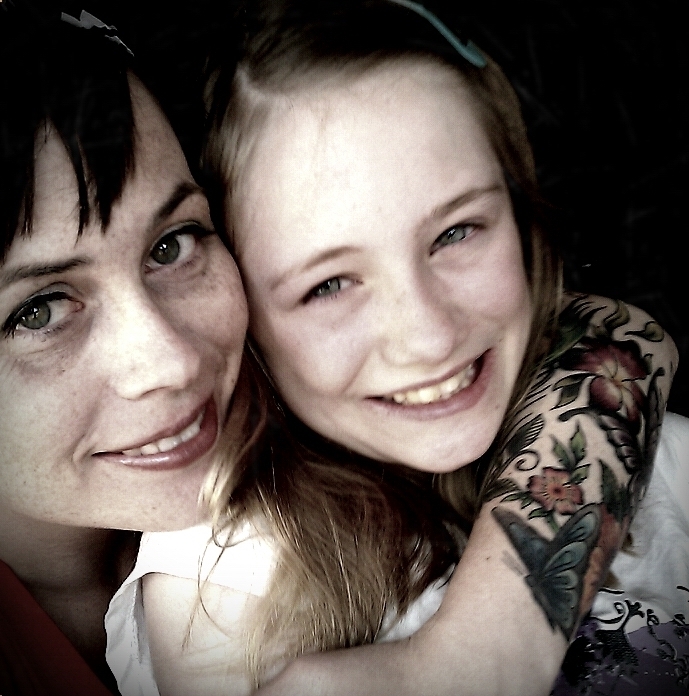 I have two kids and they like my tattoos. My mother is not a fan of them. But she accepts them. Almost all my friends like them. The most people I meet don’t have a problem with my tattoos but sometimes people say -what are you going to do with them when you get old and wrinkly? Well, by that time most old people will have ink all over so that’s no problem for me. It is art, it is a way to tell people things about you and most of all it is a way to express for yourself important events and people in your life. All my tattoos have a special meaning for me. Choose your tattoo carefully. Don´t go for cool and fashionable tattoos. 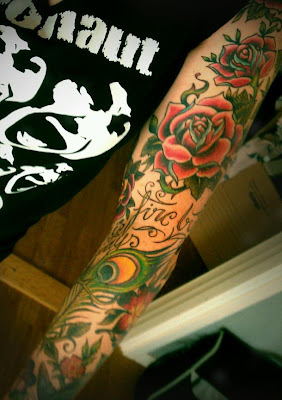 Fashion and what is cool changes over time so the tattoo should be meaningful to you, as your personal expression. And don't forget to look at your tattoo artist work BEFORE you let them put their ink on you. She's so cute & I am loving that open-preschool concept. I love that she didn't get tattooed until later on in life! I'm 31 and hoping to get my first (of several) tattoo this year. I waited this long to make sure I didn't make a mistake - I think I've waited long enough! Is the purple flower on you a linblomma? 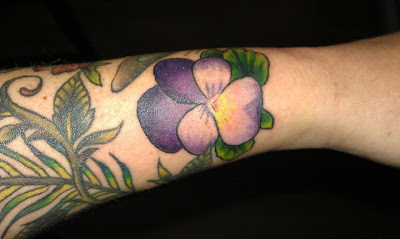 If so I have the same flower tattoo on my foot that I got done in Karlstad Sweden! Love this feature! 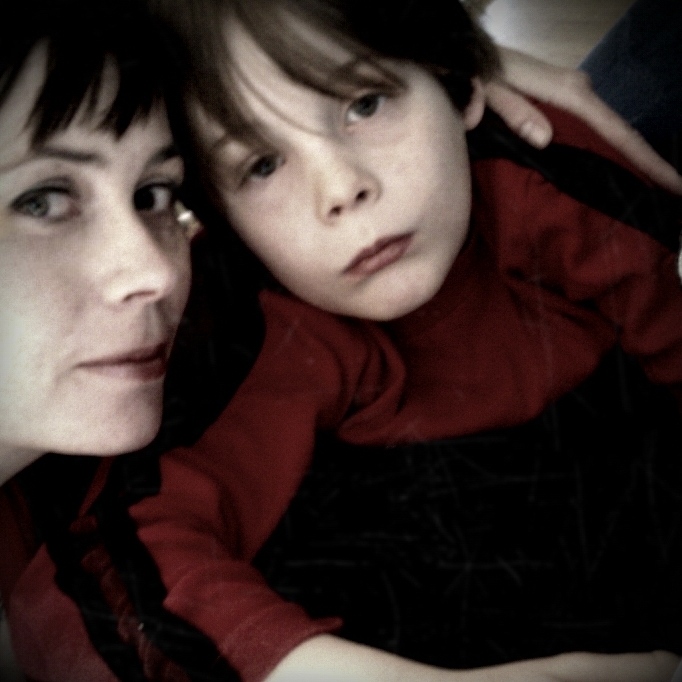 And loved taking my son Jasper to oppna forskolan (open preschool) when we were living there! I always wish I had waited longer to start getting tattooed, I just didn't know any better. I got some really busted ones, which I now am tasked with covering up at some point. On the other hand, I have some amazing ones that I did wait to get, so it balances out I suppose. as an older woman with tattoos I really like you posting someone closer to my age with tattoos, I also got mine later in life....she is such a sweet and artistic gal-great tattoos!! I'm looking to get my first (and most likely ONLY) tattoo soon, so I am so thankful for her advice! I love the Babushka, by the way, and the whole concept of it. I love that her first tattoo was at age 35! (You go Maria!) I waited until 23, even though I wanted to get started as soon as it was legal (18). I'm sure she will agree that it doesn't matter when one gets started...we get to be very covered very quickly when the ideas start flowing, yes? It´s a pleasure to have you in my life. Thank you for being you. Next post idea: How Mia manages to look 27 rather than 37. Seriously, girl what's your secret?! Gorgeous lady, beautiful tattoos. I LOVE your blog, you're such an inspiration for me! 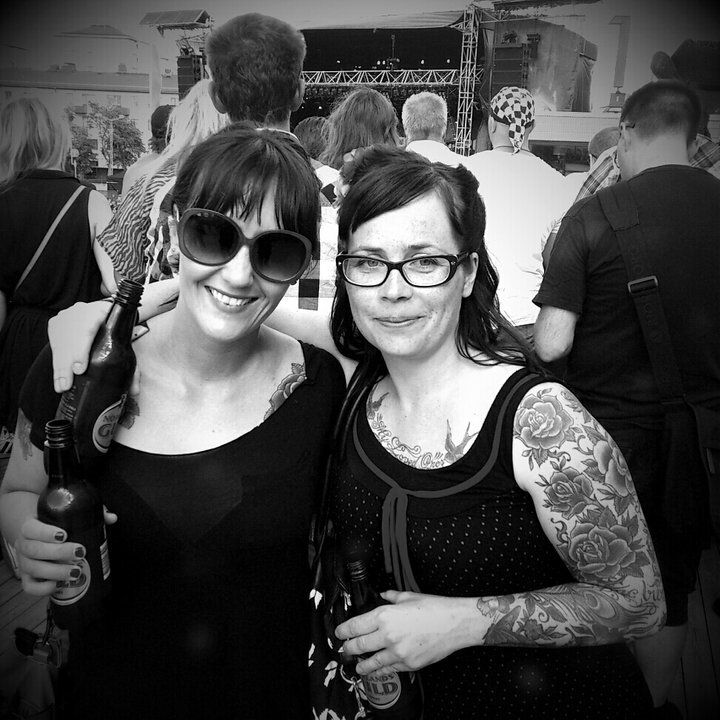 Such pretty tattoos. Really cool that she waited until she was in her 30's to get them. Great Tattoo Tuesday! Awesome. 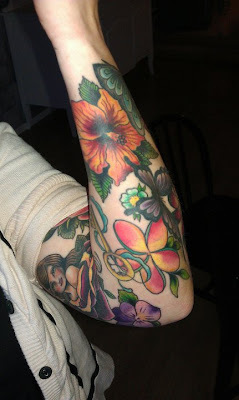 I got my first tattoo a 32 and I'm about to finish a 3/4 sleeve at 36--after 3 kids. It's nice to see other people took a similar route. lovely tattoos! i really enjoyed this post, thanks!